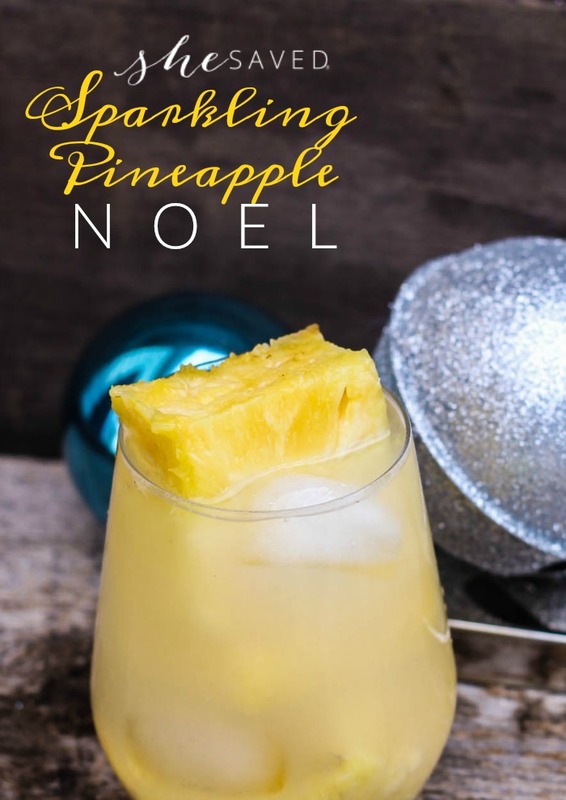 If you are looking for a fun little drink for the holidays that the kids will enjoy too, you have to give this Sparkling Pineapple Noel a try! Almost impossible to photograph (sigh) it’s much prettier in person, I promise. 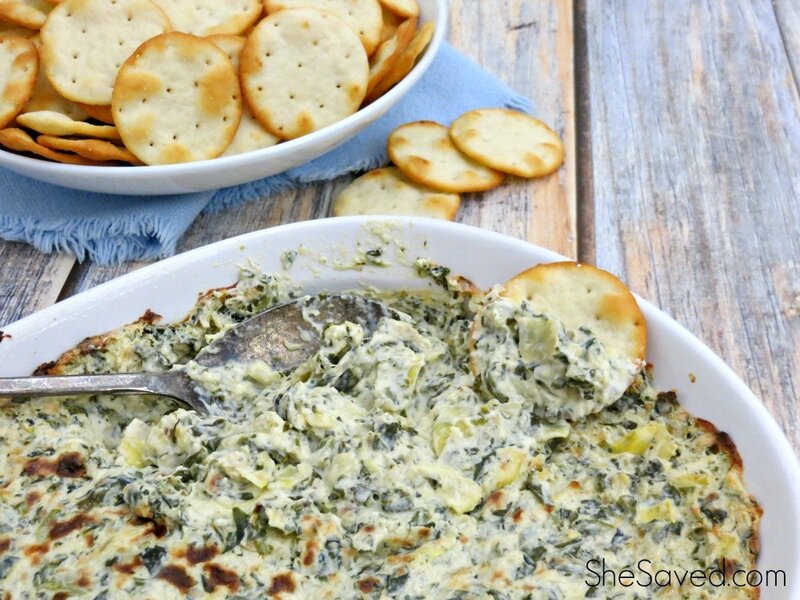 Plus, amazingly refreshing and I love that this is a party drink that can be enjoyed by all. 1. In a large tumbler add club soda, white grape juice, san Pellegrino sparkling beverage and ice cubes and stir. 2. Strain into a chilled glass with ice cubes and add pineapple wedges. This Sparkling Pineapple drink has become our go to holiday beverage, the kids love it and it’s pretty easy to keep the ingredients on hand. 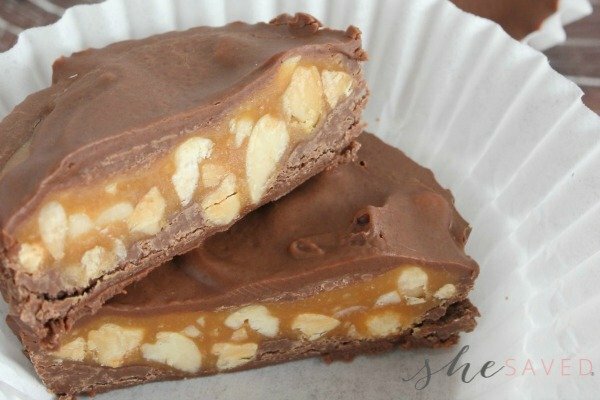 I love that it doesn’t take too much work to make these, and only a few ingredients. 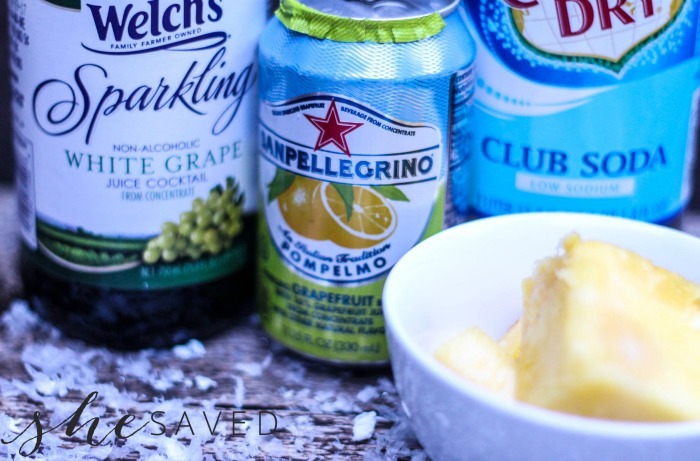 Does your family enjoy fun beverages during the holidays like this Sparkling Pineapple drink? In a large tumbler add club soda, white grape juice, san Pellegrino sparkling beverage and ice cubes and stir. Strain into a chilled glass with ice cubes and add pineapple wedges. This pineapple drink sounds so good. I can't wait to try it. I am always looking for a good non-alcoholic drink. Thank you for sharing on idea box link party. Have a Happy New Year.